Telecommunications is currently one of the fastest changing industries with broadband networks and service providers aggressively competing in their mature subscription points for churn and value-added services to provide consumer experience for a sustainable return on their extensive investments. The shift from voice and basic data to bundles of content in streaming, video, HDTV, etc. happened too fast for the industry to cope with the demand. A large portion of this is attributed to the broad range of computation being done by smart mobile handheld devices. The confluence of standards/technologies and ability to connect massive smaller devices, objects, and sensors, inexpensively and easily have created a hyper-connected world bridging the virtual and physical to generate, process, exchange and consume data for the Internet of Things (IoT). The Internet of Things is a union of standards, technologies, and connection of devices in the real world that are able to communicate in the virtual world. This type of technology is used in generating, processing, exchanging data and decision making. With its many implications and massive proliferation of devices, IoT is widely considered to be one of the largest revolutions in the Information age. Its effect has the potential to be felt on a global scale in all sectors and occupations. Many companies have different classifications of IoT platforms based on their applications and services. Firms producing goods and services categorize their IoT applications as “Industrial IoT” while others define their IoT applications based on devices like wearables or locations such as “Smart Home” and “Smart City”. IoT devices are not only replacing people, but they are overcoming the limits of people. Drone usage with cameras and sensors will be able to travel the places where humans cannot reach to gather, store and send data to a smart device instantly. As device players are manufacturing IoT devices for remote and conditioned–based monitoring and asset tracking, there are inherent challenges such as time to market, interoperability, authentication, security, digital data protection and overcoming technical issues such as power consumption, and limited computing process. With low-cost sensors and new supporting technologies such as 4G LET Cat-M1 network, IoT brings an increase of efficiency and quality to almost every sector. 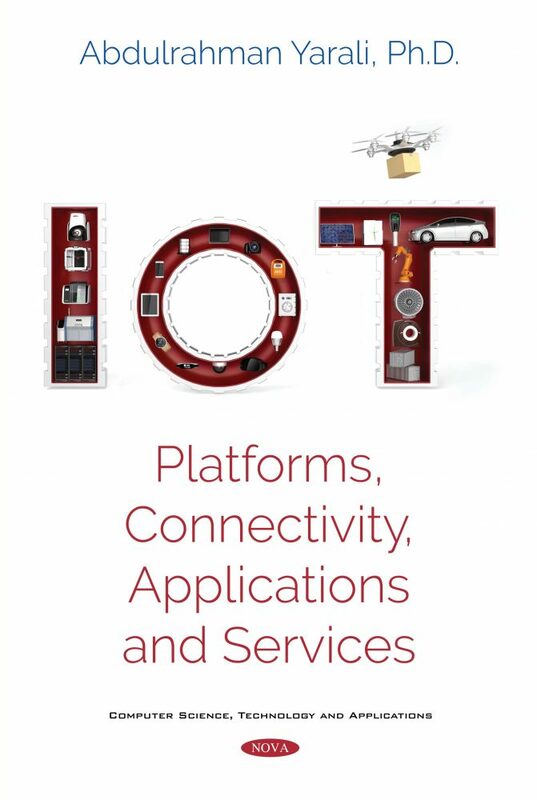 In this book, there are 16 chapters which cover a broad range of topics such as platforms, technologies, generating business value, delivering smart, sustainable energy solutions, smart communities and citizens, manufacturing, healthcare, security and privacy, commercial drones and many other related IoT topics. This book is intended for network managers and engineers, graduate and senior undergraduate students in telecommunication and computer science majors.